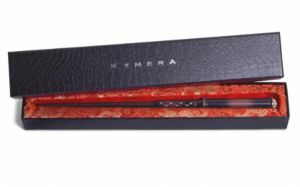 Kymera Magic Wand Remote Control | Nerd Much? Our obsession with wizardry and magic has us opening our wallets yet again, as we’ve just come across the Kymera Magic Wand Remote Control. And if you’re wondering, yes, this cool gadget does exactly what you think it does: control your electronics with a wand. You can use it to learn up to 13 infrared remote control codes, and it works with most home electronics. It also has a learning function so that it can learn from your current, less-cool remote controls. So if you’re interested in being able to change your channel by performing a magic spell (through a unique gesture), you might be interested in taking a look at the Kymera Magic Wand. If you really want — and you likely do — you can also yell spell names at the TV while you’re changing the channel with your Kymera. Changeolos Petronis! Channeleous Changeupus! See, we’re perfecting our terminology already. The Kymera Magic Wand Remote Control is one of the coolest universal remotes we’ve ever seen, and it’ll inject a bit of fun into what is typically an unexciting task. The device is highly reviewed, and even though its price might be a little high as far as universal remotes are concerned, to any Harry Potter fan, it’s worth it. 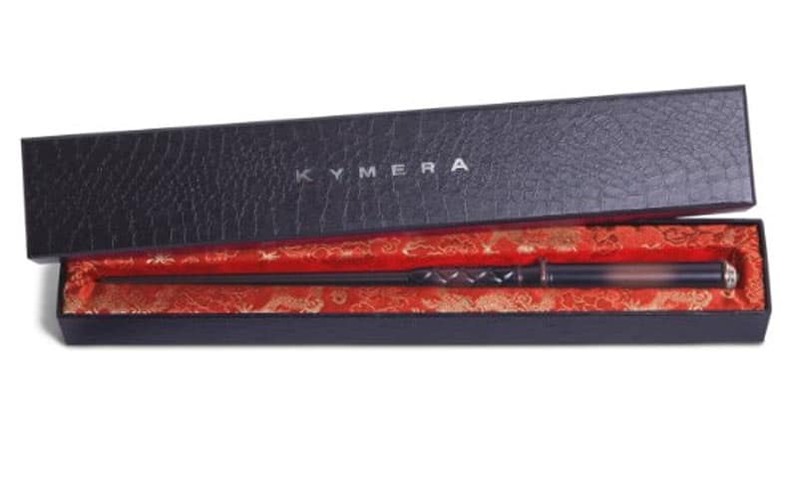 Buy the Kymera Magic Wand here. Stay tuned to Nerd Much for more cool stuff to blow your hard-earned money on.